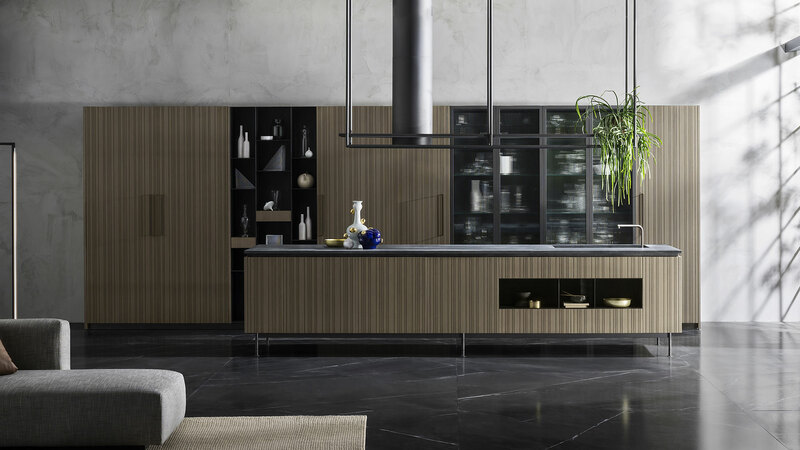 A sophisticated reinterpretation of the industrial style of large lofts, in which spaces blend together and the kitchen is integrated into the living room. 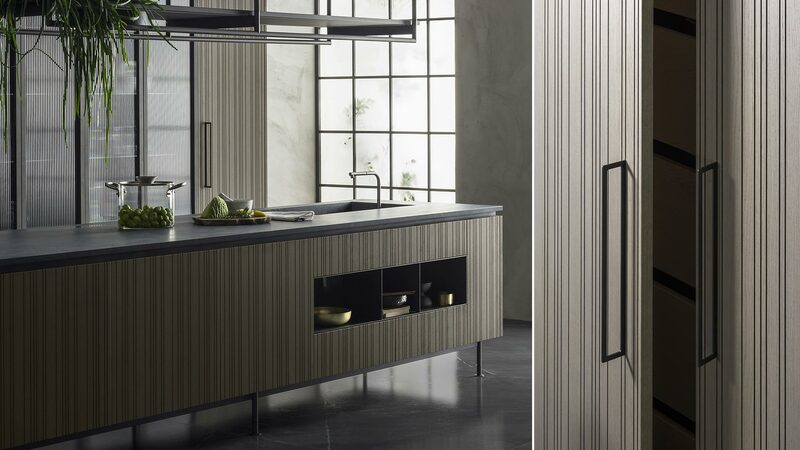 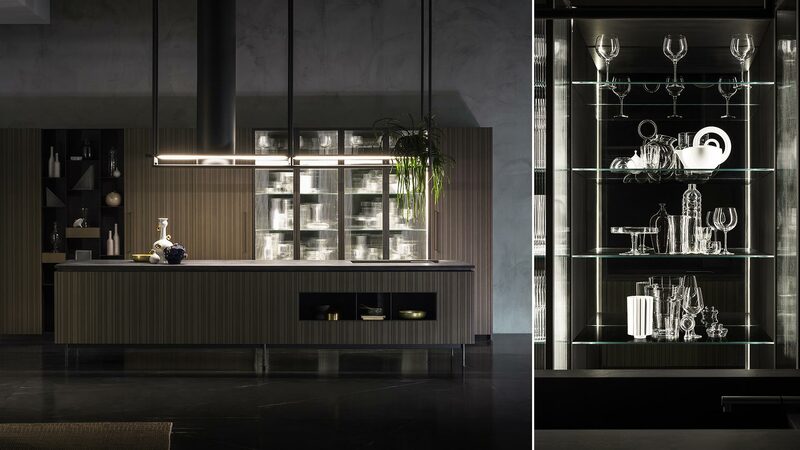 Rua boasts formal grace and very strong metallic structural components, characterizing both the open cabinet and the island bench and the linear composition of columns. 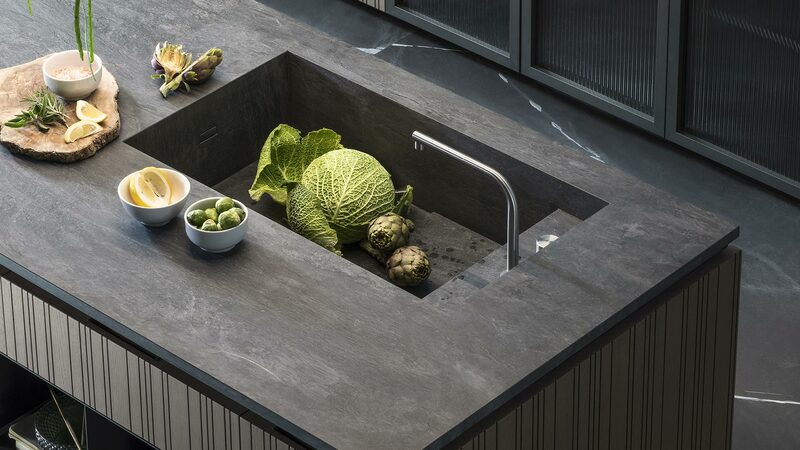 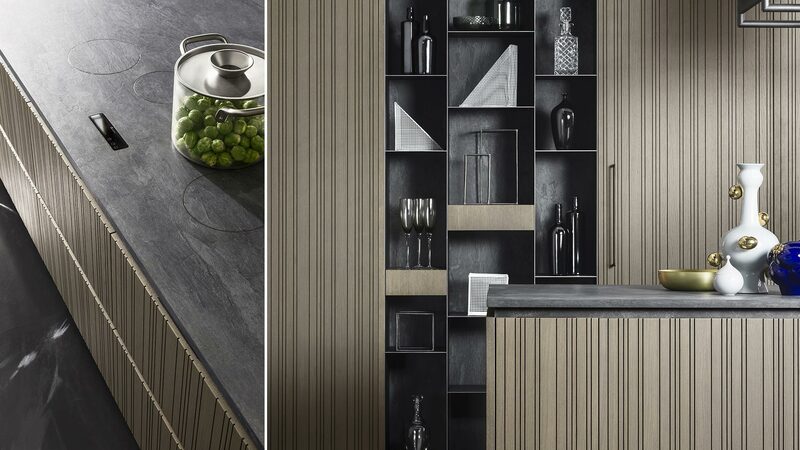 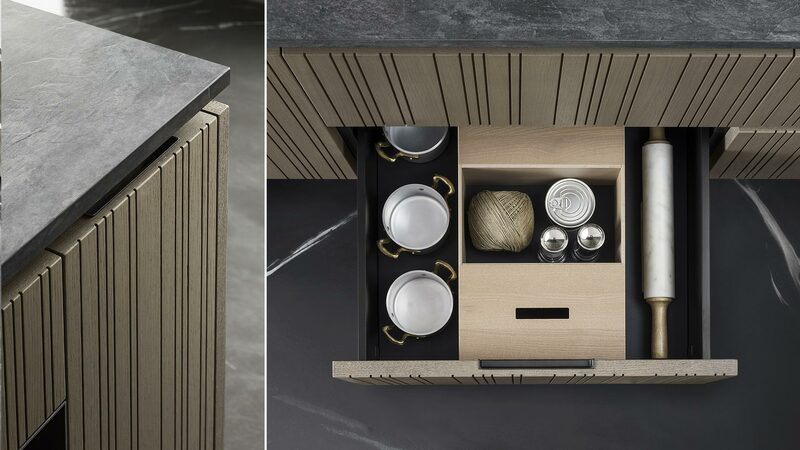 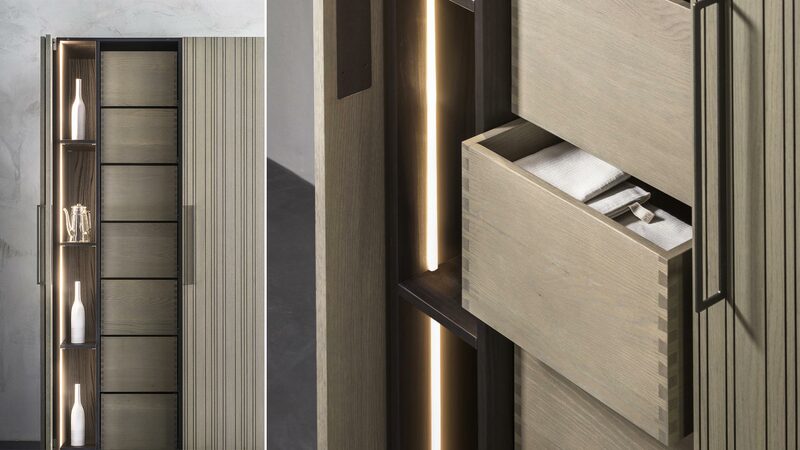 browse exclusively the new catalogue Prêt à Projet 2018SUBSCRIBE TO NEWSLETTER → This forms a very charming concept, upheld by the careful choice of materials and workmanship.The elegance of smoke grey-tinted oak and the mysterious charm of the Ardoise Noir stoneware top are combined with the anthracite effect of the metals featured in the frame and extractor hood.